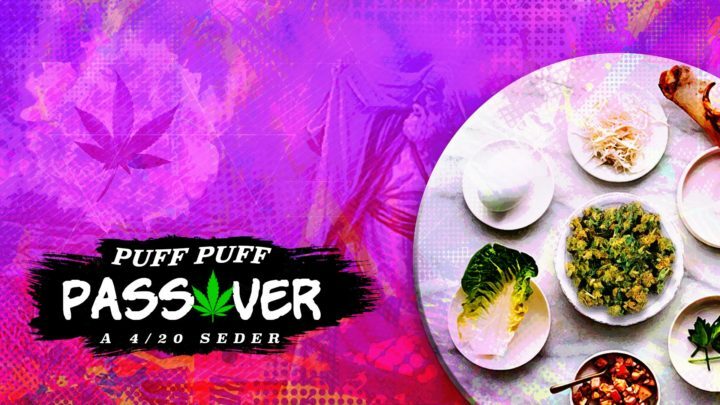 4/20 + 2nd Night of Passover = an interactive, stoned Seder show for everyone to enjoy! Bring your yarmulke and your favorite unleavened munchies to share to this fun retelling of the Passover story when Moses led the Israelites out of Egypt. We’ll be doing an entire Haggadah, or Passover Seder, complete with actors reenacting the Passover story with some help from the audience. Come celebrate Passover for the first time since you moved out of your parents’ house! There’s even a prize for who finds the afikomen! This show is for everyone, Jews and non-Jews alike, and we support those who wish not to consume cannabis and would like to attend/participate.